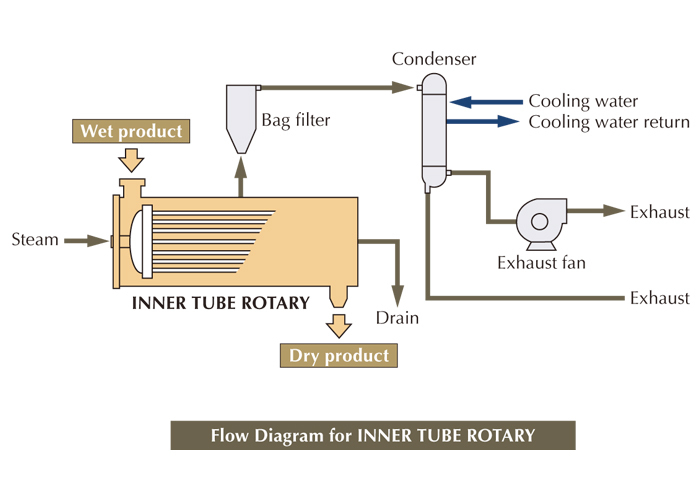 The "Inner Tube Rotary" is a continuous conduction heat dryer incorporated with a multi-tubular heating pipe bundle which rotates inside the fixed shell. The multi-tubular heating pipe bundle is heated by steam running in the pipes. 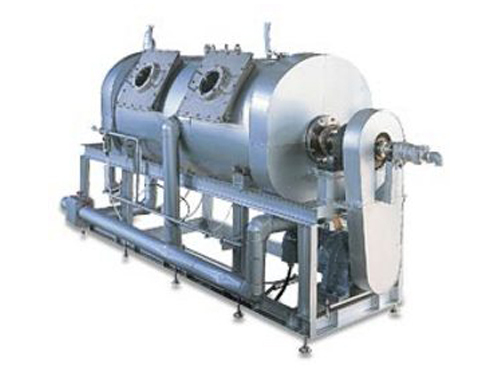 The wet product is supplied in the inlet port, gets gradually dried in the bed shell and when the moisture content reaches a required level, the dry product gets discharged in the outlet port. The repetition of lifting and dropping of the product with the lifters installed on the heating pipes possibilities a better contact of the product with the heating pipe bundle enabling a stably mixing and drying of the product. Small clearances between the lifters and shell interior promote the mixing of product without stagnation. Even the moist product can be dried, dispersed in the product bed formed in the shell. The influence by fluctuation of feed rate and moisture can be minimized. Low emission gases save energy and heat loss. Installation spaces are small due to large heating area per unit size.